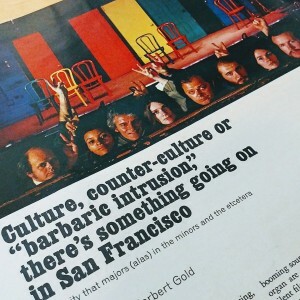 A Herbert Gold story in the March 1970 issue of Holiday magazine features a portrait of a rare Scott Beach-directed Committee cast. Pictured: Dan Barrows, Kertia Thomas, Bruce Mackey, Julie Payne, Scott Beach, David Ogden Stiers, Ruth Silveira, and Jim Cranna. 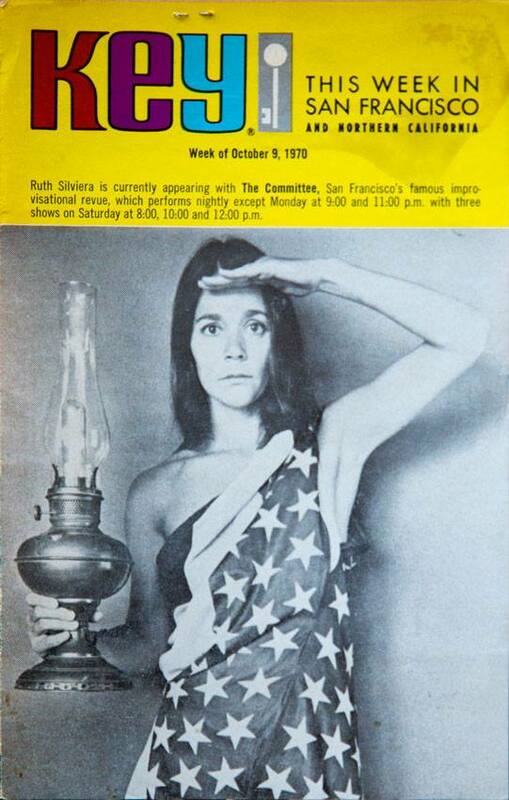 Ruth Silveira came to The Committee through a production of “America Hurrah!” at The Committee Theater at 836 Montgomery. Ruth’s scene with Julie Payne, entitled “Cold Tea”, depicted the friendship of two women as it progresses from youth to old age, and is thought of by many as one of the best scenes performed on The Committee’s stage. There are two separate strands of inquiry that lead us to this trunk. The first was inspired by Larry Hankin’s reference to a Tarot Card deck that featured members of The Committee. He couldn’t remember the name of the photographer. We chased this around for a while, but hit dead-ends and abandoned the search. 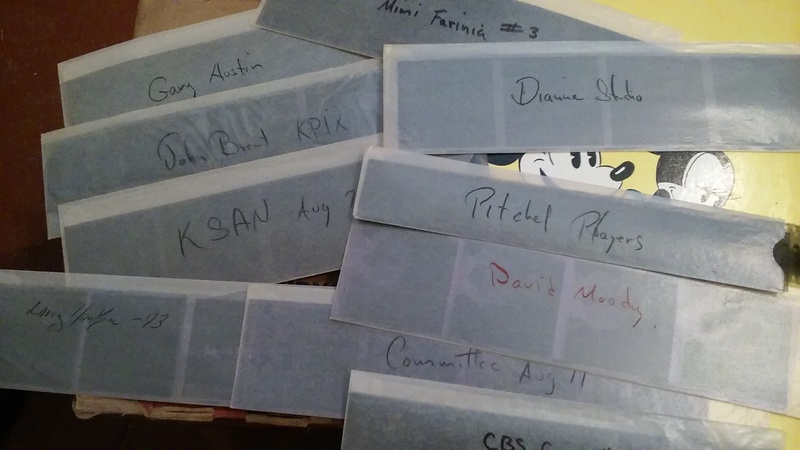 Our second, more direct, route was revealed via the tapes that we received from John Brent’s son Jeremy Paz. 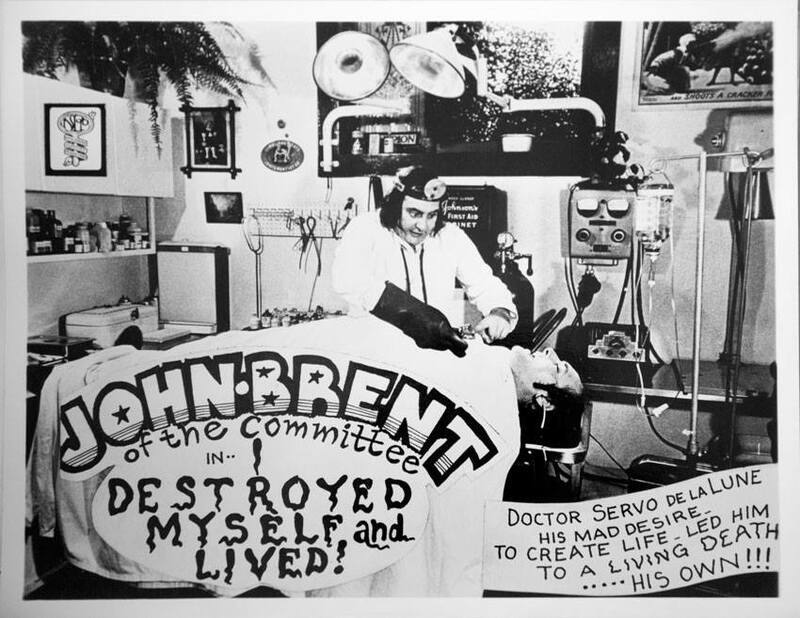 These tapes consisted of recorded interviews conducted by Peter Elbling in 1985 with members of The Committee, in remembrance of John Brent, who died that year. Jerry Wainwright (1926-1997) was a prolific photographer who documented The Committee extensively. Wainwright later helped to bring to life the ethnic/hippie fashions trends of the day with his and Alexandra Jacopetti Hart’s book Native Funk and Flash. 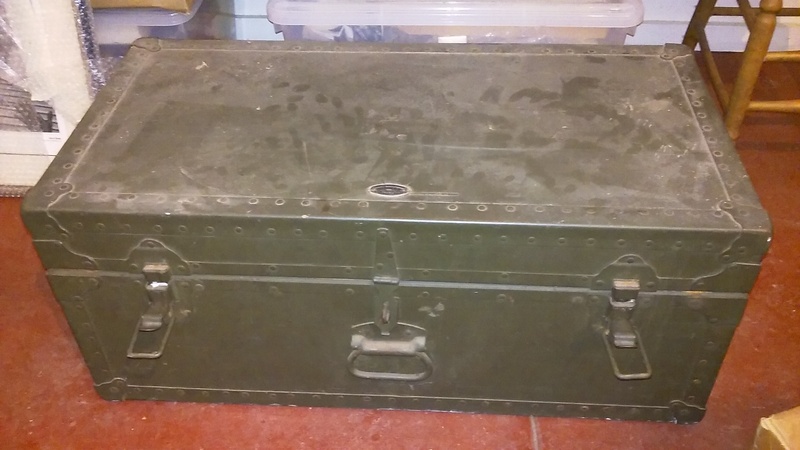 To make a long story short, after a great visit with Jerry’s widow Ann, we left with the trunk pictured above. Ann has entrusted us with a significant piece of history. The trunk holds an overwhelming amount of negatives, a few printed photographs, a few contact sheets here and there. All are from the late 1960s/early 1970s. Most of the negatives are 35mm, in paper sleeves. A few negatives are 4×5, and one appears to by 7×9. 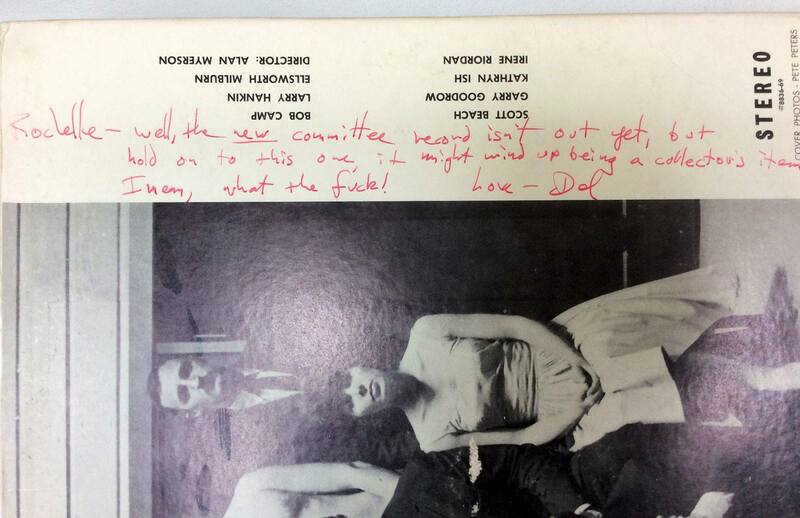 After crudely separating Committee-related material from his other work, here are some highlights. The Tarot Card photo series, featuring members of The Committee. studio portraits of John Brent, Larry Hankin, Morgan Upton, Ruth Silveira, Diann Hendrickson from the early ’70s. Action shots of The Committee 1983 reunion/Bread and Roses benefit. We took the Narcissistic Purposes negatives to the lab to be scanned immediately. 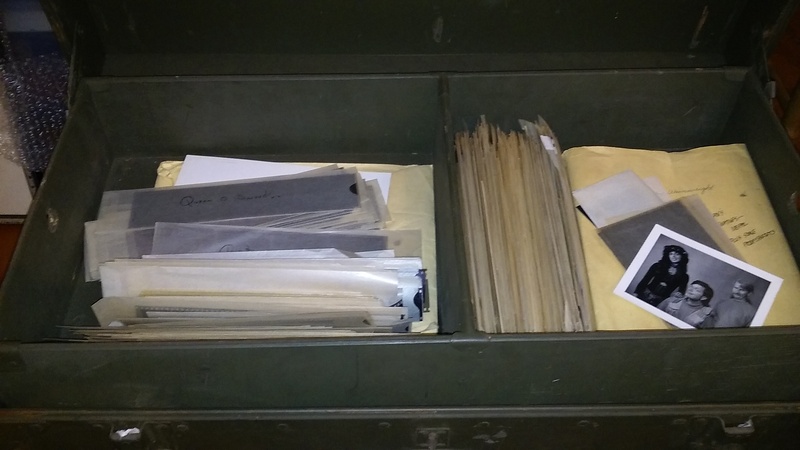 For the archive, our priority to make sure the material is safely stored (smaller boxes, new sleeves). We are determining the cost of developing the Committee-related negatives to contact sheets, but will soon start developing the material that intrigues most. We intend to work closely with Ann and Wainwrights’ estate as we move forward to make use of the treasures in this trunk. If you have question or tips email samshaw@sfimprovfestival.com. Ruth Silveira: She trained in theater at Stanford and Cal, came to The Committee via “America Hurrah” at the Montgomery Street theater. Her scene with Julie Payne – “Cold Tea” – is widely heralded as one of The Committee’s best scenes. 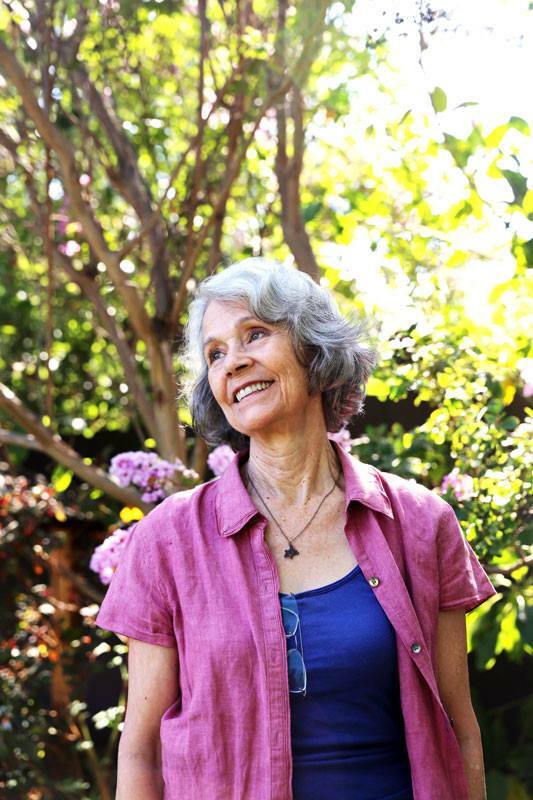 We had a great visit with her this summer, with amazing stories and a nice scrapbook encounter. Thanks Ruth!